Meteorites are unusual and rare rocks of extraterrestrial origin and are divided broadly into three types: stony, stony-iron and iron. The majority of meteorites on Earth come from the asteroid belt, a band of planetary debris orbiting the Sun between Mars and Jupiter. Disruptions to the asteroid belt by collisions or gravitational perturbations can send material towards the Earth. As meteorites enter the Earth’s atmosphere, frictional heating and melting results in the formation of a black fusion crust on their surfaces, usually less than a millimetre thick. Regmaglypts (thumb-shaped impressions) may also form on the surfaces of meteorites due to their interaction with the Earth’s atmosphere as vortices ablate material away. Meteorites are categorised as ‘falls’ or ‘finds’, and are named after the places they are discovered. ‘Falls’ are those meteorites that are seen to fall, whereas ‘finds’ are discovered without observing the fall. 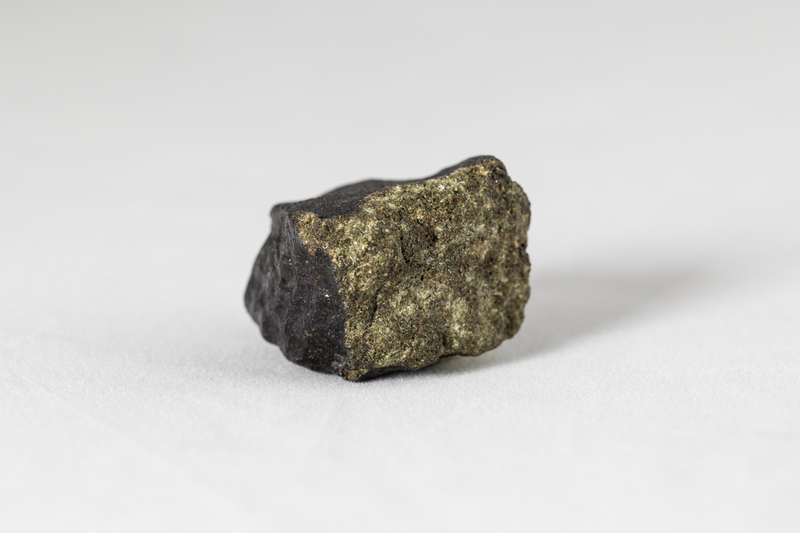 The Museum holds a small but significant collection of over 200 meteorites. These include approximately 60 iron, 150 stony and 20 stony-iron meteorites, as well as a small selection of tektites. Tektites are small (sized from a few millimetres to centimetres) glassy bodies that form during meteorite impacts, when they are thrown up from the Earth. One of the most significant meteorites in the Museum's collection is a 1.7kg mass from the Krasnojarsk meteorite. In 1772, German naturalist Peter Pallas encountered a 700kg lump of metal about 145 miles south of Krasnojarsk, Russia. His report led the German physicist Ernst Florens Chladni to propose that this meteorite and others like it were of extraterrestrial origin, which, at that time, was something widely believed in folklore but not previously accepted by the scientific community. The Krasnojarsk meteorite is composed of glassy green olivine crystals embedded in iron-nickel alloy. 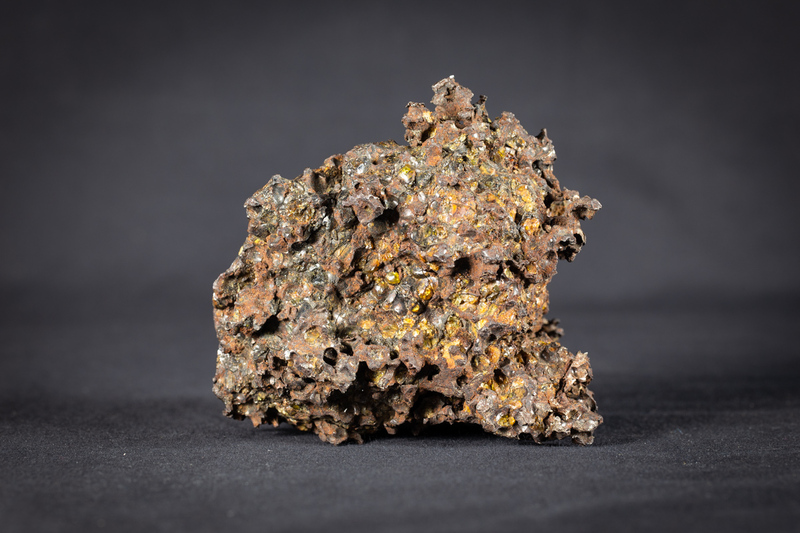 It was the first of a new kind of meteorite discovered, a stony-iron meteorite, now commonly known as a ‘pallasite’ after Peter Pallas. The piece in the Museum collection bears the manuscript number ‘7066’, added by early 19th-century London mineral dealer Henry Heuland. A piece of the Krasnojarsk stony-iron meteorite. While most meteorites on Earth originate from the asteroid belt, some originate from the Moon and Mars. The Museum holds one such Martian meteorite, a 52g piece of the Nakhla meteorite which was presented to the Museum by the Egyptian Government in 1911. The Nakhla meteorite fell near the village of Nakhla in the Abu Hommos district on 28 June 1911. It is significant because it contains secondary hydrated minerals and is the first Martian meteorite to show signs of aqueous processes on Mars. A piece of the Nakhla Martian meteorite. This nickel-iron meteorite fell from space! It's also the oldest thing you can see and touch in the Museum.